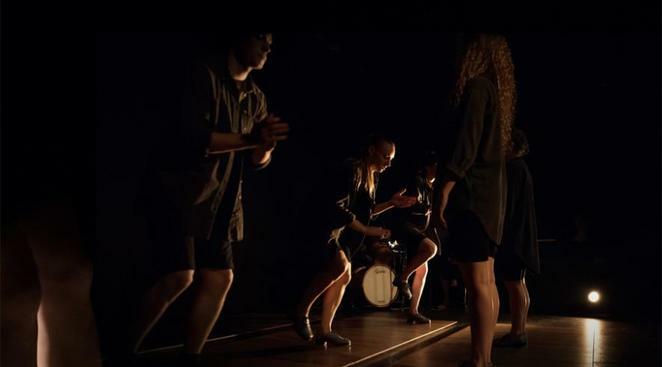 UK tap ensemble dancers, Old Kent Road, will be performing their show 'Fall Out' at the Salisbury Playhouse's The Salberg from January 11th till January 13th as part of their UK tour. Their Salisbury Playhouse show is the first of 2018 and follows 2017 performances at the Edinburgh Fringe and Bristol's InMotion Festival. If you're not familiar with contemporary tap dancing, then forget the performances you might have seen at dance recitals as a child. The Fall Out is not just dancing, it's a combination of tap dancing, live music and story telling. The show explores the idea of what it feels like to fall out of love. As well as the dancers, there is live jazz music that guides the performance. The dancers are on stage with just their wooden boards, and they to and fro with the musicians to tell a story that requires no script. Old Kent Road was founded in 2014 by artistic director Avalon Rathgeb. It is an ensemble tap group, aiming to produce shows that highlight the talent of its dancers both individually and as a whole. The company performs contemporary tap shows with original choreography that at the same time hark back to traditions in tap and jazz music. Fans of tap are guaranteed to enjoy the show, which received very positive reviews at the Edinburgh Fringe, but you don't have to be a tap aficionado to appreciate the choreography and skill. It's at times fast paced and powerful, and makes a captivating performance even for those who may not be as familiar with the art form. Tickets can be purchased online from the Salisbury Playhouse website, or by calling the box office on 01722 320 333. Tickets are £13.50 or £9 for under 25s.